At the crack of dawn every morning, I roll from my bed bleary eyed, pull on my wellies and stroll down past the ever expanding puddles, to the bottom of the garden where my four Buff Orpington Bantams live in their lovely Cottage Hen House. Personally I've always been more of a night owl than an early bird and arguably perhaps somewhat grumpy till I've had a cup of tea and a slice of toast. However I do, despite my moaning and protestations, secretly rather enjoy my morning trips up to let the girls out. The letting out of the chickens is a simple matter (as it should be at six thirty in the morning) due to the chicken coops sliding door pop-hole, the handle of which extends outside the run, I can open the door and rush back inside to the comparative warmth of my kitchen window to watch my girls stretch their legs and potter about, while I enjoy my aforementioned tea and toast. 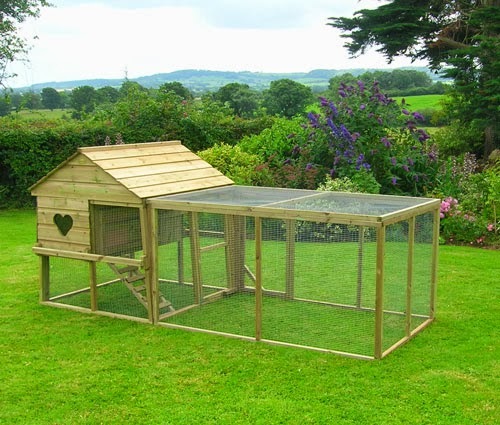 The Cottage Hen House is made to the same high standard as all Flyte so Fancy houses and is brilliant for those of us with limited space in our gardens, but have a passion for poultry. Crafted from pressure treated Scandinavian redwood, with strong inch by half inch weldmesh being used also, the house is built to last, while adding the nostalgic charm of a quaint English village to your garden. 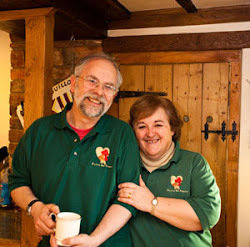 Access into the Cottage is very easy, making the daily and weekly chores of chicken keeping easy. Whether its the daily egg collection from the internal nest box (called Chicken Currency in my family) or the weekly clean, the full width back panel door makes entry into the house incredibly easy. When it comes to my weekly clean, I just push my trusty wheelbarrow right up behind it and sweep the old bedding straight into it. The access that the large back door affords also makes it easy, when doing a clean, to get right into the corners with my Poultry Shield and Diatom to help prevent any red mite flare ups. Entry into the run is also simple, with a door at the front and a removable panel at the back for access to the area under the raised living quarters, which incidentally is a great place to keep your feeders and drinkers out of the "weather" as well as providing a sheltered spot for your girls, come rain or shine (although probably mostly rain). The Cottage Hen House also has the option of an additional 6ft Extension Run. Built from the same sturdy timber and strong weldmesh, the extra room the run gives, allows my four hens to happily and safely roam and stretch their wings during the day, while I'm at work at FSF HQ. Solid, yet gracious in design, my hen house provides my girls their own little country cottage idyll in which to dwell, happily amble back n' forth and lay my delicious fresh breakfast eggs. 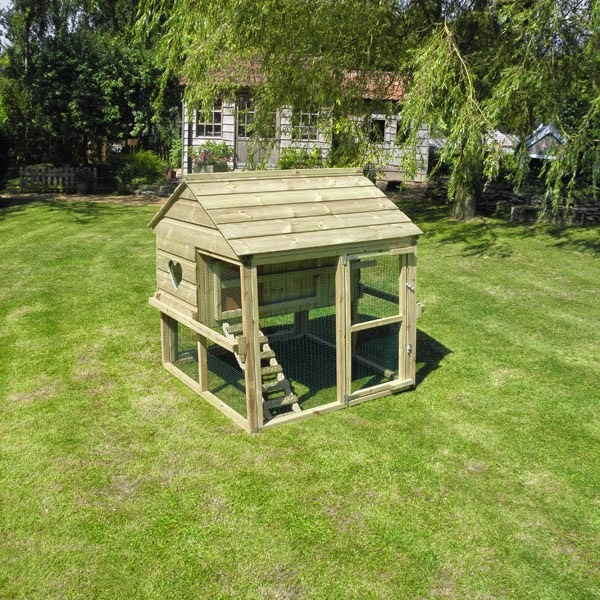 For more information on the Cottage Hen House please leave us a comment or give us a ring on 01300 345229 to talk about this lovely chicken coop and run, perfect for the smaller back garden.